Today begins what will be a mainstay of Words on the Word in 2015: AppTastic Tuesdays. First up: the iOS app Rules! When you complete what rule 1 calls for, you move up to rule 2. Having completed rule 2 on the screen, you then apply rule 1 to the remaining icons. 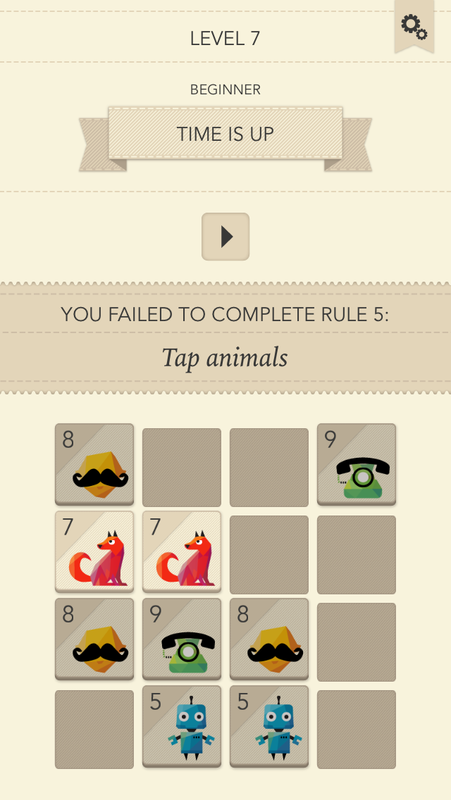 There are 100 levels of rules, though I have barely made it past 15. But then after completing rule 13, it tells you simply, “Now follow rule 12,” “Now follow rule 11,” “Now follow rule 9,” and so on. So it’s more than about the gameplay itself–you’ve got to memorize the rules as you go; you’ve got to know them by number. This makes it a less-than-ideal zone-out game. 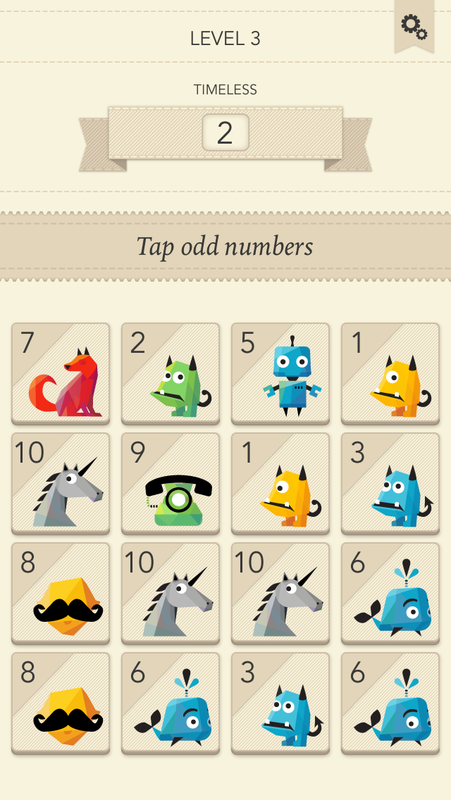 Threes is by no means boring but mindless enough that you can come home to it at the end of a long day. Rules! is not so. It demands more of your mind. You will probably find yourself, as I did, using some mnemonic device to remember 8-10 rules at once, so you can perform the appropriate actions on the screen in front of you. 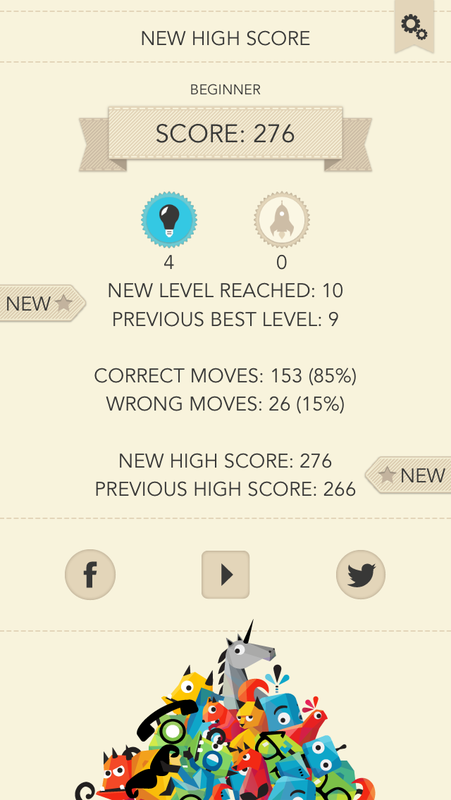 The need to memorize a host of rules in order to do well caused me to lose interest more quickly with Rules! than I have with other iOS games. So, for $1.99 in the App Store, if you’re up for a mental challenge with good music and beautiful design, check it out and see if you can–as one player on Twitter recently did–get through all 100 levels. Thanks to the makers of Rules! for giving me a download for the review. Check out the app’s site here.